Transparent aligners, is an latest orthodontic treatment that is applied to correct your teeth with tailor-made transparent plaques.You can have smooth and healthy teeth without using braces. What are Transparent Aligners (Plaque)? Transparent aligners, which is regarded as a technological revolution in the world of orthodontics, is a method of orthodontic treatment with a program that allows the teeth to be corrected without aesthetic worry and at the same time instantly shows how your teeth will have a digital structure. What privileges have the aligners presented? • Transparent aligners consist of totally transparent plaques.They can not be seen from the outside. Even your friends, your family will find it difficult to notice. • It is possible to use it at any time. • Painless treatment method. It is absolutely incompatible with pain, soreness and painful feelings that are common in braces. • There is no aesthetic worry as it is in braces. You can continue your family, business and social life without any worries.In particular, the psychological problems that children and young people experience in the braces treatment are overcome. • It is a treatment method that solves all the troubles that are experienced in the mouth, mouth odor, toothbrushing. • It certainly does not affect your voice and speech. • Allows your treatment to be completed faster. After an oral examination and approving the simulation with your dentist, your transparent aligners will be immediately produced and sent to the dentist. The number of aligners to be used and the duration of the treatment will become clear after this 3D simulation.If you use transparent aligners, which is specially produced for you, every day for 20-22 hours, your teeth will start to move as seen in the simulation.Duration of treatment changes from 3 to 6 months. For example, if you need 6 plaques to fix your teeth, this means you will have 12 weeks of treatment. Why Do Patients Prefer a Transparent Aligners? • It is a definite treatment method and the treatment process can be followed in a digital environment. 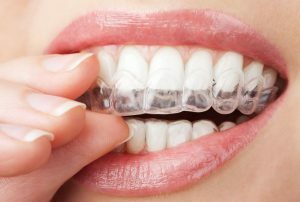 Why Does Dentist Prefer a Transparent Aligners? • Positive comments ,feedback sand thanks from patients using transparent aligners treatment method.